Christmas is coming early at Bright Kids Crabbs Cross! 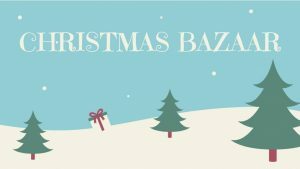 Staff and children are gearing up for their annual Christmas Bazaar, which will take place on Saturday 8th December, from 11am to 1pm, at the nursery on Evesham Road. There will be plenty of Christmas cheer on hand, including hot pork baps, mulled wine for the grown-ups, cake stall and other refreshments, a raffle, tombola, family bake a cake and Santa will be dropping in to visit children in his Grotto. There will also be a host of stalls including The Body Shop, Osborne Books, Mama J’s Catering, Live, Laugh, Love with Lauren and Zoe’s Candles.